Wieland & Sons Lumber Co. does business in all of the continental United States and several foreign countries. The company plays a major role in the community by providing employment to over 100 full- and part-time employees. See their Facebook page for hours (but call ahead anyway) and links to youtube videos of their operation. Acme Tools has been serving the needs of contractors, woodworkers and do-it-yourselfers since 1948. Offering a full line selection of hand tools, power tools, woodworking machinery and accessories. WoodsmithStore ? 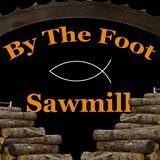 your source for woodworking kits, jigs, and project plans from America?s favorite hands-on, fully-illustrated home woodworking magazines: Woodsmith, ShopNotes and Workbench. The Ames Woodworkers Club, based in Ames, Iowa meets at various places in Ames and in other locations in Central Iowa to share information and tips about various woodworking related topics. Plus many more unique wood-related tools. We're just a good ol' bunch of girls and guys (ok, geezers and geezettes) that like to get together and make pieces of wood into smaller pieces of wood. Kelly Mehler's School of Woodworking is designed to give skilled and hobbyist woodworkers the focused attention and encouragement needed to build their skills, comfort level and repertoire of woodworking techniques. Publishers of Woodsmith and ShopNotes Magazines.